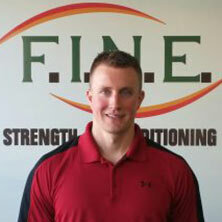 At Fit in New England (F.I.N.E. ), our clients use our gym in a variety of ways. Whether you prefer lifting weights or you’re all about cardio, there is a diverse selection of equipment you can use when you’re working out alone. One resource that you may not be using but really should be is our group workout classes. Our fitness classes are designed to take your fitness goals to the next level. In this blog, we will go over the benefits of group fitness classes and why you should try one! One of the best advantages offered by workout classes is greater motivation. Being surrounded by people who have the same goals as you and are truly dedicated to them is inspiring. 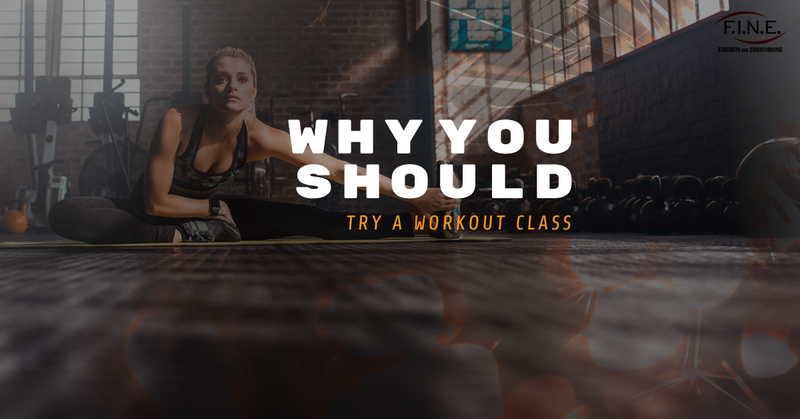 When you are in a fitness class with an empowering instructor and supportive, like-minded people, it’s must easier to get to your workout and stick to a consistent exercise schedule. When you commit to a group fitness class, everyone in the class serves to motivate each other, inspiring everyone to try harder. Have you ever wandered around the gym, randomly picking machines to try because you just aren’t really sure what you want to do? Does writing out a workout to-do seem like too much effort for what it’s worth? A group fitness class is perfect for you because you don’t have to think about what you are doing or plan it out in advance. Your instructor has set up the class to have a warmup and cool down. The warmup is designed to raise your heart rate while preparing your joints and muscles of physical activity, while the cool down is a safe way to lower your heart rate and stretch the muscles you worked in class. 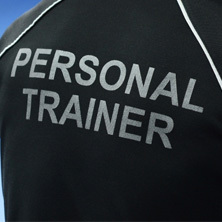 Workout classes allow you to work out in a safe and effective manner without having to plan too much yourself. As mentioned above, a workout class features a warmup and cool down for safety purposes. In addition, workout classes enhance the safety of your workout by ensuring that you use proper form. 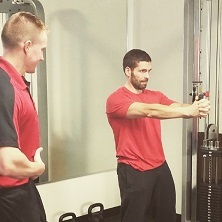 The instructor will not only demonstrate to you how to properly perform exercises, they will also be able to help everyone in the class make sure they are using the proper form. This reduces your chance of injury and allows you to fully benefit from each exercise. When your exercise plan only includes you, it’s easy to blow it off. You have had a long day, and doesn’t going home and relaxing on the couch with a bag of chips sound better than going to the gym? It’s tempting to give into this thought, and it’s much easier when the only person you will disappoint is you. When you sign up for a fitness class, you have to hold yourself accountable. You have paid money, signed up, and made a commitment to the other members of the class. There is a much better chance that you won’t skip your workout if you are already signed up and other people are expecting you there. 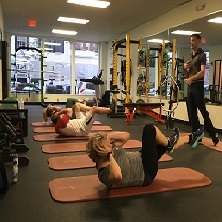 When you are looking for workout classes in Massachusetts, Fit in New England (F.I.N.E.) is the way to go. Contact us today to learn more about our fitness classes!